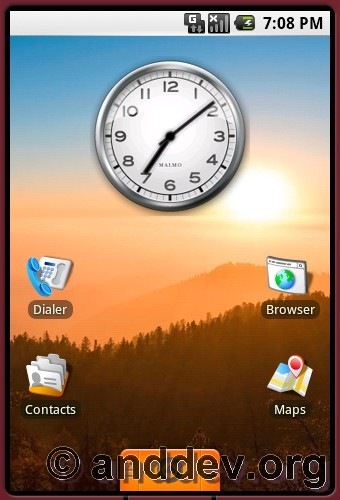 Now Google Android can be tested also in our PC or Netbook. 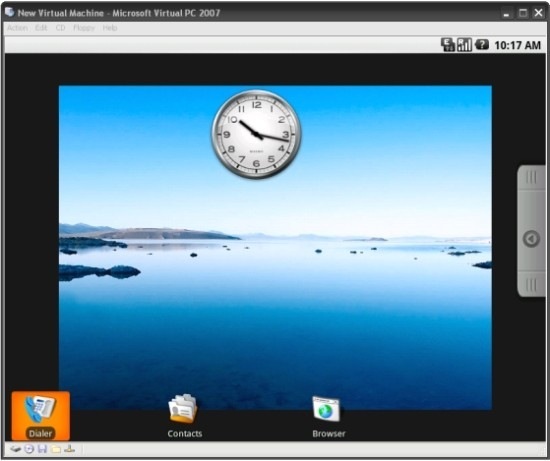 LiveAndroid lets you download a LiveCD disc image of the Google Android operating system and run Live on your desktop. Just burn the image to a disc, stick it in a CD-ROM drive, and reboot your computer and you can check out Android without installing it or affecting any files on your PC. LiveAndroid running in a netbook with touchscreen. Is normal that when you drive a car, you should know the height of the vehicle. 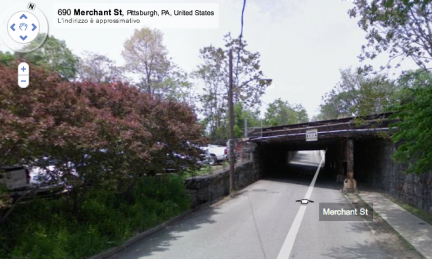 But in this case the driver of Google Street View Car forgot about the digital camera over the roof and hit a bridge. The incident happened in Pittsburgh, Pennsylvania. You can start here and keep clicking the forward arrow to watch as the cameras apparently get bent by the bridge. 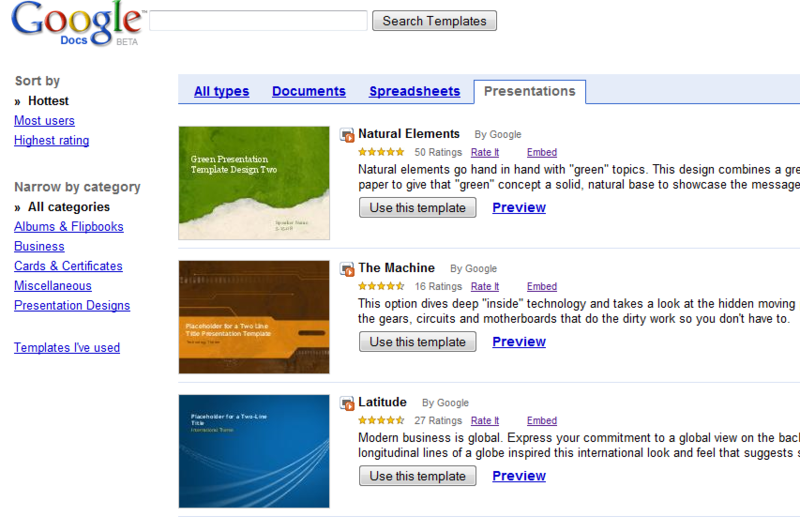 Docs Templates are now available for Google Docs. The On Line office is coming to be more complete. Invite others (by e-mail address) to edit or view your documents and spreadsheets. View your documents’ and spreadsheets’ revision history and roll back to any version. Publish documents online to the world, as Web pages or post documents to your blog. Available also Spreadsheet and Presentations. Knol is like Wikipedia in Google version. The Knol project is a site that hosts many knols – units of knowledge – written about various subjects. The authors of the knols can take credit for their writing, provide credentials, and elicit peer reviews and comments. 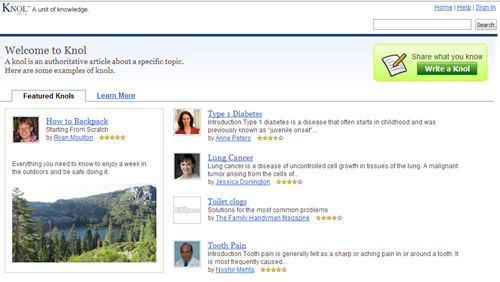 Users can provide feedback, comments, related information. So the Knol project is a platform for sharing information, with multiple cues that help you evaluate the quality and veracity of information. Knols are indexed by the big search engines, of course. And well-written knols become popular the same as regular web pages. The Knol site allows anyone to write and manage knols through a browser on any computer. I was browsing my Gmail contacts and i just notice that something is changed. It look nice and more useful. In Google Maps you can have already driving directions and the new features that Google is testing are the walking directions. As is quoted in Googlesystem blog an unofficial Google blog to "use caution when walking in unfamiliar areas", since the "walking directions are in beta".